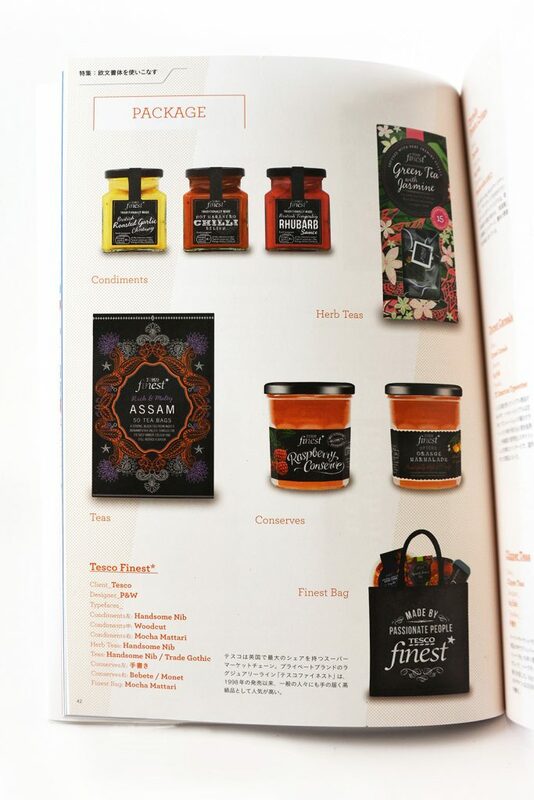 P&W’s award-winning packaging solutions for the Grocery category within Tesco Finest* have featured in Typography. 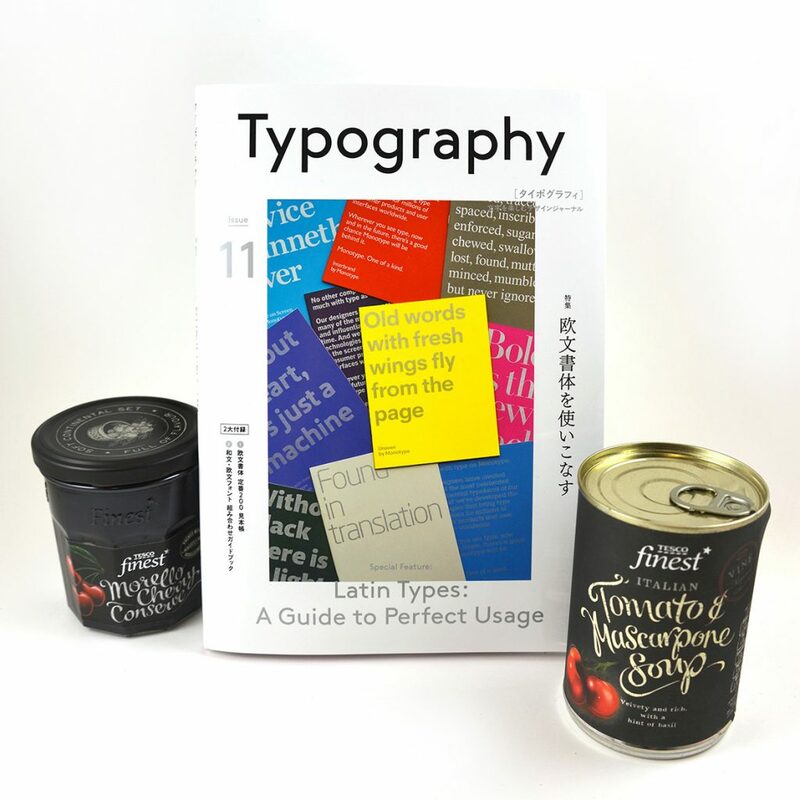 The popular Japanese design journal is published twice a year by Graohic-sha Publishing Co, based in Tokyo. This latest journal is ‘Issue 11 / Spring’ and was released yesterday. This issue is focussed on Western fonts specifically; it is the eleventh volume of a special feature “Mastery of European Fonts”. You can purchase on Amazon.com! The Tesco Finest* Grocery category required careful attention from P&W. We were required to express the product authenticity and provenance whilst ensuring the individual personalities of the suppliers and their artisinal qualities were told, all-the-while retaining the overall Finest* brand identity. As the Grocery category is unique due to the many differing pack formats, sizes and producers, the task was challenging. P&W created bespoke identities for each range, using carefully crafted typography, bespoke illustrations and editorial style photography to enhance the proposition. As well as hand-crafting typography, a few of the fonts we utilised were: Handsome Nib, Woodcut, Mocha Mattari, Trade Gothic, Bebete and Monet. As well as its commercial success, our Finest* work has won over 25 international design and marketing awards, including: Mobius, The New York Festivals, Gramia, Pentawards, PLBuyer, Clio and FAB. Nice Idea, But I've Seen It Before!